At its very heart, an article review paper is a piece of rhetoric and deep analysis. You must grapple philosophically and logically with the article you are reading, comprehend it fully, and be able to form your own unique and well supported position with regard to the original author. After you have arrived at this level of analysis, you must argue your position convincingly, using the primary text itself to bolster your arguments (though you may also marshall other, external evidence). The support for your main thesis makes up the bulk of your paper's body paragraphs. 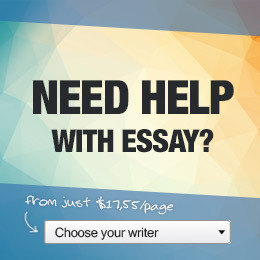 In an article review assignment, the supporting paragraphs are designed to contain useful details and rich discussion of the primary text, as well as arguments and evidence in favor of the writer's position. Of course, defending a complicated literary position in the span of a few paragraphs can be very tricky. Here is a brief guide to writing your supporting paragraphs in article review essays. Make sure your position or thesis is fully clarified in your mind before you begin to write. You don't want to be halfway through the paper before you realize you doubt your own position. Make notes on the textual support for your thesis, using the primary article text itself. Highlight passages that are in support of your thesis, and make notes in the margin with your responses, as well as ideas about where in the paper to insert each piece of support. Write down all the arguments "pro" and "con" for your position, using a large sheet of paper with two columns. Gather all your evidence and write it down in the "pro" column. Then find all the evidence and counter arguments you can locate in the text on the "con" side. Determine whether or not your position is well supported and likely to be viewed in a positive light by your instructor. Pay attention to how he or she talks about the article and how the article was taught. Discuss your position or thesis with another student in your class who has read the same article. Frame the discussion as a heated debate, and try your best to defend your stance. This will help you locate holes and flaws in your arguments. Divide each fact or rhetorical statement up, so that they go together in a series of paragraphs. Once you have all your ideas organized and divided up this way, you are ready to begin writing.